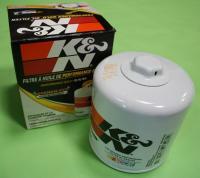 Latest K&N wrench off oil filter now available for the Capri. Each canister oil filter comes with a hex nut welded to the top of the canister so it can be easily wrenched off with a standard tool. Includes a drilled hole for safety wire which is required in many types of racing.